Offering you a complete choice of products which include steel chemical gun, injector gun, spotting gun, air steam gun and steam brush. We supply the quality range of Steel Chemical Guns. It has an accurate design which makes it durable and sturdy. It is ideal for processing chemicals efficiently. It helps in providing required pressure and is convenient to handle and is highly reliable for different industrial applications. It has an excellent strength and is available at an affordable price. We are amongst the leading manufacturer of Injector Gun. Precisely constructed, these injector guns are compact and are efficient in gripping. These are designed for powerful injection purposes. These are ideal for injecting chemicals and various materials inside the products in a controlled manner. Our injector guns are manufactured using standard quality materials. These are coated with rich quality powder in order to prevent corrosion. These injector guns are highly durable. We manufacture superior quality Spotting Guns. 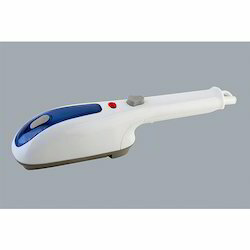 These spotting guns are extensively used to remove stains and blemishes on the fabric. These are utilized effectively in various industries such as electronics, textiles and widely used for gardening purposes. These spotting guns provide consistent and continuous pressure for their easy handling. It requires low maintenance and is available at an affordable price. 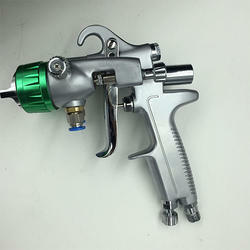 We offer quality Air Steam Gun, which is manufactured using latest technology as per the requirements of the clients. It is highly demanded by our customers. It is extensively used in different industries for their excellent performance, low maintenance and long-lasting service. It is effective in cleaning various types of machinery. It is energy efficient and requires less time to operate. We manufacture standard quality Steam Brushes. These steam brushes are used as an alternative for ironing special fabric materials such as synthetic fabrics, silks, and other materials. Our steam brushes help to maintain effective control of steam. These steam brushes are very easy to handle and provide excellent gripping. These have a rigid structure and provide long-lasting service. Our steam brushes are efficient for removing lint and creases faster and more easily.